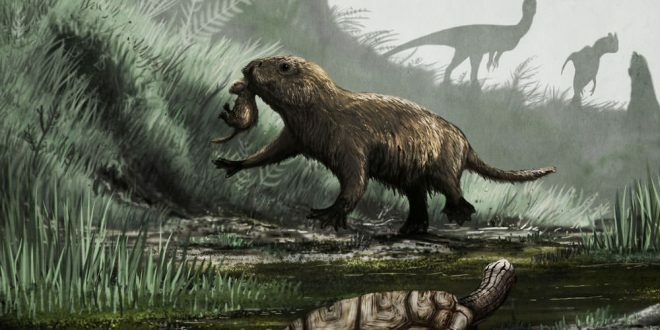 A new research led by UCL and Tel Aviv University’s Steinhardt Museum of Natural History has found that mammals only started being active in the daytime after non-avian dinosaurs were wiped out. A long-standing theory holds that the common ancestor to all mammals was nocturnal, but the new discovery reveals when mammals started living in the daytime for the first time. It also provides insight into which species changed behaviour first. The study, published today in Nature Ecology & Evolution, analysed data of 2415 species of mammals alive today using computer algorithms to reconstruct the likely activity patterns of their ancient ancestors who lived millions of years ago. Two different mammalian family trees portraying alternative timelines for the evolution of mammals were used in the analysis. The results from both show that mammals switched to daytime activity shortly after the dinosaurs had disappeared. This change did not happen in an instant – it involved an intermediate stage of mixed day and night activity over millions of years, which coincided with the events that decimated the dinosaurs. “We were very surprised to find such close correlation between the disappearance of dinosaurs and the beginning of daytime activity in mammals, but we found the same result unanimously using several alternative analyses,” explained lead author, PhD student Roi Maor (Tel Aviv University and UCL). The team found that the ancestors of simian primates – such as gorillas, gibbons and tamarins – were among the first to give up nocturnal activity altogether. However, the two evolutionary timelines varied, giving a window between 52-33 mya for this to have occurred. This discovery fits well with the fact that simian primates are the only mammals that have evolved adaptations to seeing well in daylight. The visual acuity and colour perception of simians is comparable to those of diurnal reptiles and birds – groups that never left the daytime niche. “It’s very difficult to relate behaviour changes in mammals that lived so long ago to ecological conditions at the time, so we can’t say that the dinosaurs dying out caused mammals to start being active in the daytime. However, we see a clear correlation in our findings,” added co-author Professor Kate Jones (UCL Genetics, Evolution & Environment). “We analysed a lot of data on the behaviour and ancestry of living animals for two reasons – firstly, because the fossil record from that era is very limited and secondly, behaviour as a trait is very hard to infer from fossils,” explained co-author, Professor Tamar Dayan (Chair of The Steinhardt Museum of Natural History, Tel Aviv University). The team say further research is needed to better populate the mammalian family tree to give more accurate information on when the behaviour of species changes from night time to day time activity.